Those who wish to become a pharmacist typically do so because it is widely considered to be one of the top professions in the United States. Studying pharmacy in college can lead to a rewarding and challenging career coupled with a desirable level of career stability. Pharmacists are licensed to dispense prescriptions to patients who are in need of proper medication while also monitoring the health of the patient. Pharmacists are also responsible for advising physicians and/or physician assistants about proper dosages, medication interactions, and any potential side effects that may arise. A pharmacist's job is to fully understand the composition, usage, and effect of prescription drugs to ensure the general public remains protected and educated. The composition of a prescribed drug may include the unique biological properties, chemical composition, and the physical properties. The usage of a drug entails an understanding of the amount, type, and frequency a prescription may be taken by a patient. The effect is essentially the desired outcome based on the composition and usage of a drug for a specific patient. As you may surmise, top pharmacist’s work diligently to minimize risk while maximizing the patient's quality of life. Those who are considering a career in the pharmaceutical field typically have a number of questions about the process and the particulars. The following questions are some of the most frequently asked during the planning and discovery phase when considering pharmacy as a vocation. A pharmacy is not merely the place a patient goes to fill their prescriptions; rather, pharmacy is an important form of science. Anything pertaining to the standardization, collection, and preparation of prescription drugs is under the umbrella of pharmacy science. In the past, pharmacists were responsible for the mixing and measurement of drug related products for each patient as it was prescribed by a patient’s physician; however, today most prescription drugs are mass produced by pharmaceutical companies ready to be dispensed by pharmacists. That being said, a pharmacist must still earn a qualifying degree before dispensing or preparing medications for patients. Another vital aspect of pharmacy science is the proper storage and dosage of prescription medication. Ensuring the right person receives the correct medication in the proper dosage with sufficient education is a critical aspect to the health of the pharmaceutical industry and healthcare at large for that matter. From a regulation and standardization standpoint, a prospective pharmacist must adhere to all of the laws that govern dosages and purity levels of medication. Where Can a Pharmacist Work? The typical image of a pharmacist standing behind the counter at a drugstore wearing a long, white lab coat is only partially true. There are a variety of locations where a pharmacist can ply their trade, including retail outlets, hospitals, health clinics, pharmaceutical sales, insurance companies, home infusion facilities, veterans administration, healthcare associations, drug research companies, universities, home health care facilities, government agencies, and a number of other professional settings. Pharmacists have a great deal of job security, are consistently accessible to those who are in need by being visible and ubiquitous. Millions of people interact with retail outlets every day to confer with a qualified pharmacist to provide them with the necessary assistance and counsel. Patients will always need health care and pharmacists are able to address their personal concerns in a timely fashion. Those who wish to join a profession where their opinions are trusted implicitly with the direct ability to help patients in need should look further into a career as a pharmacist. Making a distinct difference in a patient's life is incredibly rewarding and pharmacy is one of the most commonly pursued career fields within the medical industry. From a compensation standpoint, the median pay for a pharmacist exceeded $120,000 annually according to the Bureau of Labor Statistics which is nearly four times the median income for all occupations in the United States. As discussed, a pharmacist will dispense the correct medications to patients, in accordance with a physician's advice. Patients will consult with the pharmacist about the proper usage of medication and potential conflicts with other prescriptions. When information is needed about a variety of medications and other health care supplies, a pharmacist is routinely consulted. 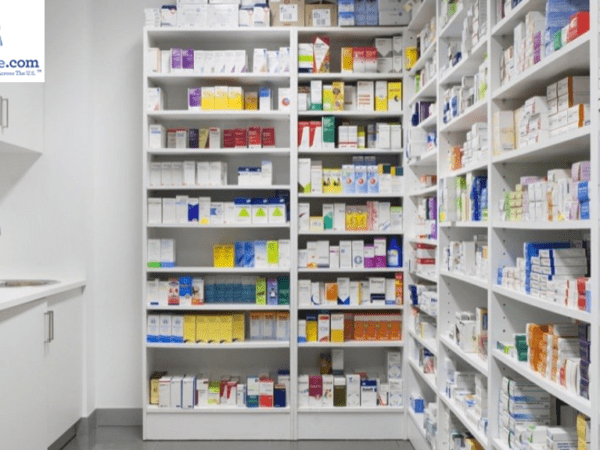 A pharmacist and pharmacy technician are responsible for the condition of the pharmacy along with inventory control to ensure proper documentation for all drugs within their purview. Pharmaceutical. The pharmaceutical industry formulates drugs, produces chemicals, manufactures prescription drugs, produce non-prescription drugs, and other health products. Pharmacists working for a pharmaceutical corporation may focus on research, manufacturing, marketing, quality control, management, sales, and/or administration. A recent report by PhRMA supports the direct and indirect economic impact of the pharmaceutical industry at $1.2 trillion. Healthcare Distributors. Healthcare Distributors are the professionals that provide the logistics behind the pharmacy, ensuring the right drugs and medical supplies are shipped to the correct facility in a timely fashion. In addition to adhering to stringent regulatory requirements when dealing with controlled medications, they are experts at inventory control, supply management, record keeping, humidity control, training, emergency planning, distribution methodology, returned items, and security. Academic Pharmacy. The discipline of Academic Pharmacy offers a track for professionals to teach others in both public and private institutions across the country. There are over 3,000 full-time faculty members working at a variety of colleges and universities with an ever-increasing demand for more on the horizon. The American Association of Colleges of Pharmacy (AACP) has put together a concise overview of Academic Pharmacy for review here. Managed Care Pharmacy. Professionals in the Managed Care Pharmacy track design and execute drug benefits for the vast majority of Americans covered by health insurance. Managed Care Pharmacists ensure proper access to safe, cost-effective drugs for a wide variety of needs within the healthcare system. The Academy of Managed Care Pharmacy (AMCP) put together an informative Q&A for those looking for additional information. Informatics. In a nutshell, informatics is the science of computer information systems. Within the pharmacy industry, Informatics is the discipline that brings together people with their health information through the use of computer systems. A Pharmacy Informaticist works hand in glove with a variety of medical professionals including other pharmacists, nurses, information systems technicians, and physicians to ensure proper systems are in place to support a high functioning practice. Ambulatory Care Pharmacy. Pharmacists specializing in Ambulatory Care integrate the needs of ambulatory patients with their unique healthcare needs by partnering with family members and other medical professionals. Ambulatory Care Pharmacists work to fuse direct patient care with medication management through coordinated care, long-term relationships, wellness programs, community partnerships, referrals, and self-management techniques. Community Pharmacy. A Community Pharmacy can come in two primary types: national chain or independent. Both have benefits and drawbacks with each organizational structure with the exact same focus of providing prescription medication and drugs to help patients. Pharmacists are often the go to professional for many ailments which explains why the Gallop Poll ranking of “most trusted professional” belongs to Pharmacists for 22 consecutive years and running. Federal Pharmacy. The two primary Federal Pharmacy tracks are Armed Services and US Public Health. Armed Services or Military Pharmacists along with the US Public Health Pharmacists are an integral part of the health and well-being of all branches within the armed forces for our country. Much like their private industry counterparts, these pharmacists help patients best utilize prescription medication to properly manage their health. In addition to the same services and direct patient engagement, Federal Pharmacists may also work with the FDA, U.S. Coast Guard, Federal Bureau of Prisons, CDC, National Institutes of Health, Division of Immigration, and Centers for Medicare & Medicaid Services. Pharmacy Consultant. A Pharmacy Consultant is an independent agent that fills a void fast-paced doctors and retail pharmacists cannot meet. With the changes in the health care system that stymie physicians and cost constraints within a retail pharmacy organization, the need for a one-on-one pharmacy consultant is growing. With its roots in long-term care and nursing facilities, a Pharmacy Consultant continues to provide an array of administrative, clinical, and distributive services to millions of people each year. Hospital & Institutional Pharmacy. An evident trend within pharmacy has been the addition of Pharmacists working in organized healthcare settings such as hospitals, extended care facilities, nursing homes, neighborhood health centers, and health maintenance organizations. The clinical skills of a pharmacist coupled with latent drug knowledge add an important resident expert to the mix of hospital professionals. In fact, some Hospital & Institutional Pharmacists specialize even further in sub-industries like nuclear pharmacy, intravenous therapy, adult therapy, oncology, and poison information. How Do I Begin a Pharmacy Career? First and foremost, it bears mentioning that pharmacy work is not easy. You will be working on your feet for much of the day and shifts do not typically run from 9 AM to 5 PM. Those who work in pharmacies in the United States must obtain the proper licensing, regardless of prior life experience or additional degrees. To begin the process of receiving licensing, you must start with a series of prerequisite pharmacy courses at the collegiate level. Certain classes are required, including physics, math, chemistry, biology and science. Most schools will require a student to pass a Pharmacy College Admissions Test (PCAT) before they are admitted into a professional program. After you are accepted into a professional program, required curriculum for your particular track must be successfully completed. A six year Pharm D curriculum is the norm, while some schools offer a five-year bachelor of sciences program. After completing the academic piece of the Pharm D program, an internship is required. The internship is served alongside a licensed pharmacist for a defined period of time that is mandated by the college or university. Upon graduation from an accredited college, you are able to take a state-specific pharmacy examination. After successfully completion of the state-based exam, you will be ready to seek full-time employment as a licensed pharmacist. In some states, pharmacists may need to invest in continuing education credits in order to have their licenses renewed. At the end of the day, it is worth noting again that pharmacists continue to be in very high demand and will continue to be for the foreseeable future to support an aging population. With thousands of positions available within the United States, those who seek career stability and the ability to help patients with health related concerns the pharmacy field may be a viable career choice. In an effort to help prospective pharmacy students quickly find programs of interest, we have created an online search tool and organized pharmacy schools by state. Below you will find a list of states that have top ranked pharmacy programs that you can research further. Collecting admissions information from colleges that offer pharmacy degrees has never been easier with MatchCollege. For additional resources, make sure to visit MatchCollege and subscribe to our blog for the latest in college information. Further research is available outside academia with national associations such as the APA or NCPA with benefits to members that may prove beneficial for new and experienced pharmacists.